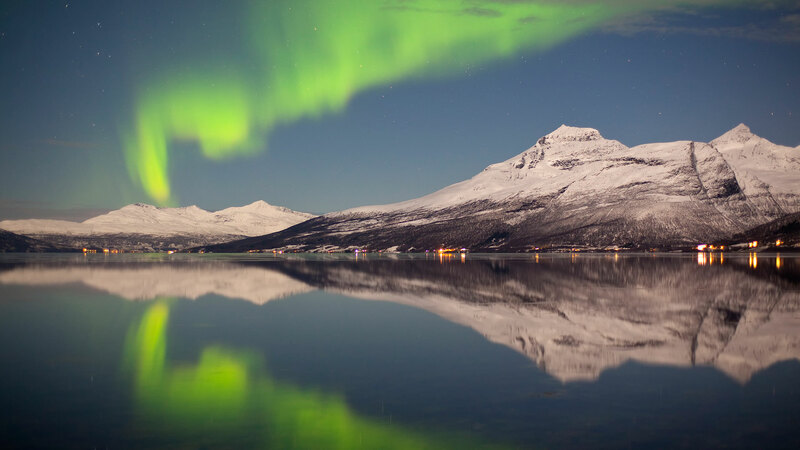 This short break in Tromsø, the “Capital of Northern Norway”, will have your adrenaline pumping with thrilling dog-sledding and snowmobile excursions in the snowy wilderness. On the more relaxing side, you will also get a taste of Sami culture and many chances to see the northern lights along with some free time to explore the city. Arrive to Tromsø Airport. 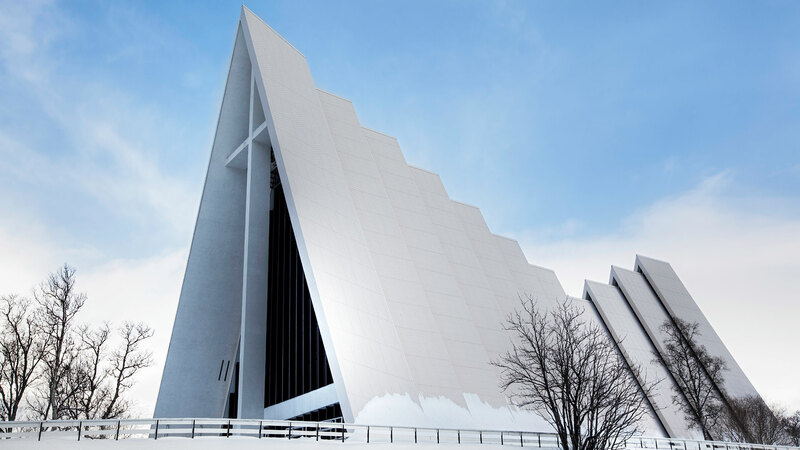 After settling in at your hotel, you have the first part of the day to explore this charming Arctic city and its various attractions, including the Polar Museum, the Art Museum of Northern Norway, the Arctic Cathedral and the Fjellheisen cable car. In the evening it’s time to leave the city lights behind for chance to enjoy some of the brightest northern lights in the world. * This guided tour into the wilderness also gives you a glimpse into the unique Sami culture as the guide tells tales of the local folklore and customs. 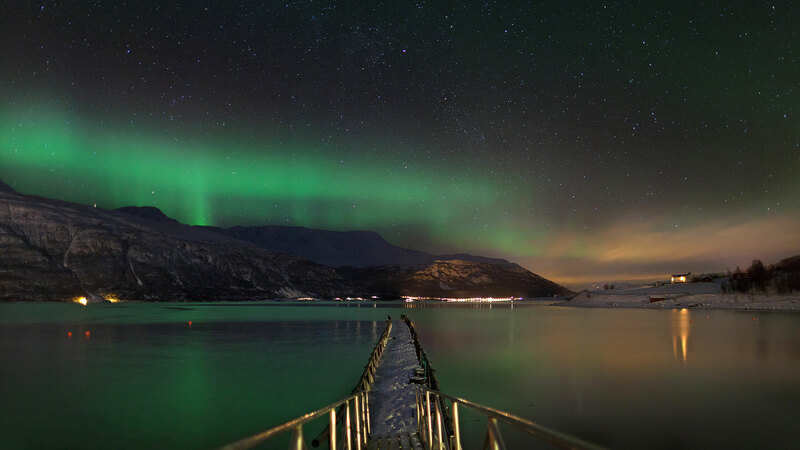 Spend the next three nights in central Tromsø. 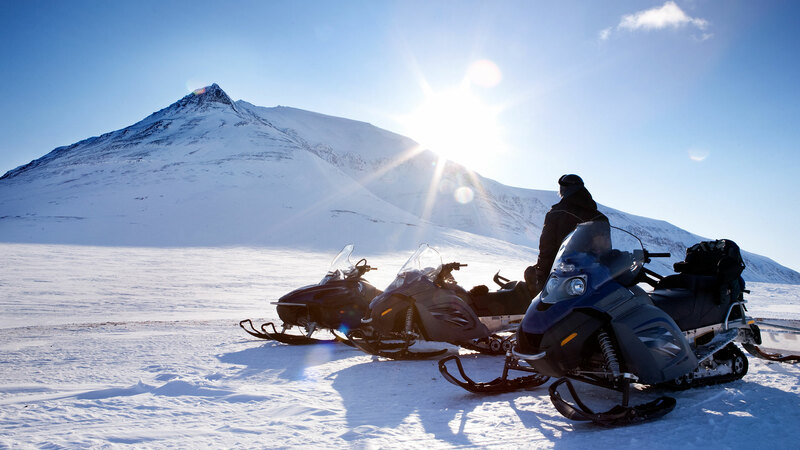 Start the day by exploring Tromsø before your afternoon snowmobile tour. This excursion brings you up to heights of 875 metres above sea level with spectacular views of the Tromsø area. You might even have a chance to try your skills at ice fishing on the lake on top of the mountain, if time and weather permit. From the tour’s final destination, the Camp Tamok wilderness area, you will have another opportunity to look for auroras while enjoying a hearty dinner in a lavvu, a traditional Sami tent, prepared by the guide. Afterwards, you will be taken to the accommodation of your choice. Depending on whether you want a more social, more rugged overnight experience or private lodgings with more traditional furnishings, we offer you a number of exciting options at Camp Tamok, Please indicate your preference in our online booking process. 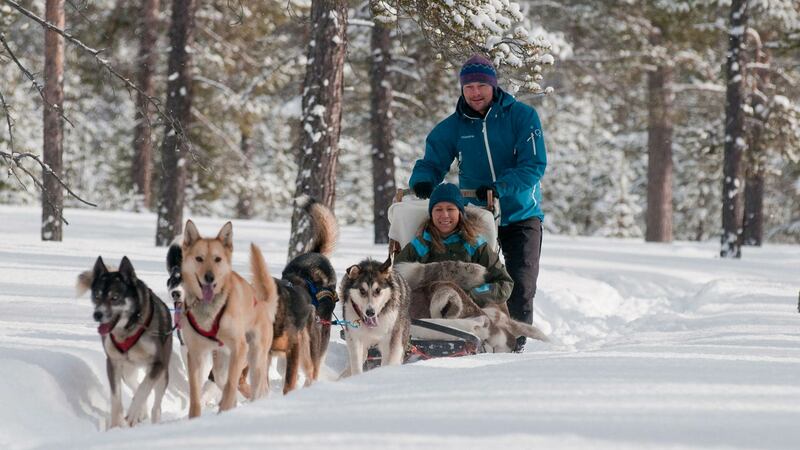 This is your chance to be a musher! Heading into the countryside after breakfast, you will learn the time-honoured Arctic tradition of dog-sledding with an experienced guide and a team of energetic huskies. After a light lunch at the kennel and a brief lesson on how to handle your sled and dogs, you get to drive for an exhilarating 16 km-long ride through some of northern Norway’s most beautiful and uninhabited landscapes. Later, return to Tromsø to spend the rest of the evening as you wish. It’s time to head home after your short but action-packed break in Norway’s winter paradise. 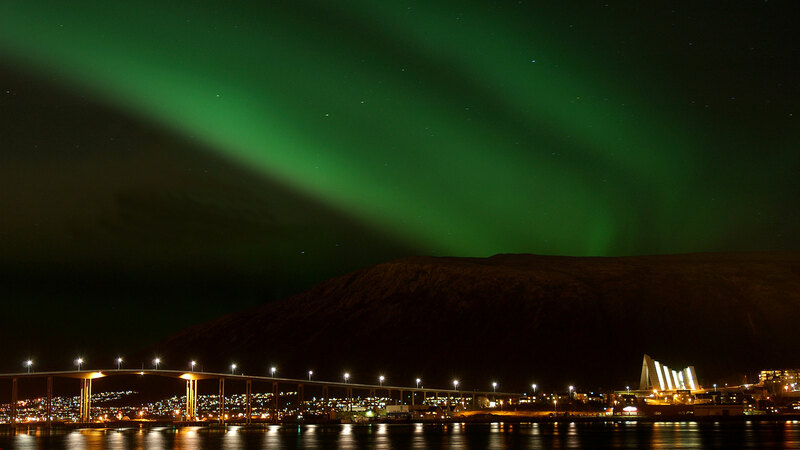 We recommend transferring by taxi (only a 10 minute ride) to Tromsø Airport in time for your flight to Oslo Gardermoen Airport, where you will fly onwards to your final destination. Please note, if you do not have enough time between flights, an additional night in Oslo can be added to your package. Contact us for details. The tours and guides were very good and the overall experience lived up to our expectations. We are celebrating our 30th wedding anniversary this year and have been promising to go to see the northern lights since we got married. We were not disappointed. I can't thank you enough for your help! The tours were amazing and the ease of planning the trip was wonderful. You gave us a trip if a lifetime and memories to cherish! Our tour guide, from the Northern Lights Chase night, was a really good tour guide. He was friendly, nice, and funny. My husband and I had a blast riding with him in the van. My travel consultant, Bjarni is perfect, he answered all my questions in a timely manner and he was able to customized my itinerary to accommodate my stay for an extra night at the hotel. The lavvu is a heated Sami herdsmen’s tent, with 6 sleeping alcoves that each sleeps 2 persons. You will sleep in a warm winter sleeping bag on reindeer hides. The Aurora Chalets are small heated wooden huts, that each sleeps two guests. They have a glass window in the roof to enhance your chances of seeing the Northern Lights. The cabin has 6 small rooms, each for 2 guests and a common living room area. So here you have a chance of having a very social evening, in the shared living room area!